A Saint Leo University education is grounded in the liberal arts. 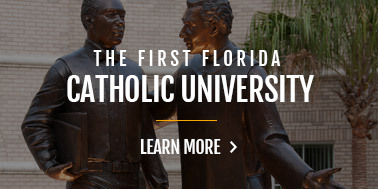 The Saint Leo liberal arts curriculum acquaints students with the primary areas of human knowledge—the humanities, natural sciences, and social sciences—and with the religious and philosophical foundations of civilization, and it allows them to pursue a major in a discipline of their interest and talent. An academic program consists of all of these elements and leads to a degree in a specific discipline. Through an integrated program of study, faculty members encourage students to relate knowledge gained from other disciplines with the principles of their chosen major. The liberal arts curriculum offers students the opportunity to gain greater knowledge of themselves, to develop a concern for others, and ultimately to acquire insight into their responsibilities in the world. Through the liberal arts, students learn to think critically, write effectively, and solve problems individually and in groups. By integrating new technologies in courses in all disciplines, students learn to use those technologies to expand their knowledge and their academic performance. There are four core features of the Saint Leo University curriculum: general education, majors and minors, specializations, and electives. With guidance from an academic advisor, each student takes courses within each facet of the program. Saint Leo University provides small class sizes (averaging 16 students on University Campus, 10 in education centers, and 17 in the Center for Online Learning). A major is a group of courses clustered in an area of intellectual inquiry. Students in a major study a particular field of knowledge in depth so that they can read and interpret the literature of that field and perform the work of that field in an effective manner. Some students enter the University with a clear idea of what they want to study. However, most students are undecided about which major they should choose, and national studies show that even those who enter college with majors already chosen often change their minds. To help students select a major that meets their interests and their talents, students work closely with their academic advisor. With their advisor, students select their major before they register for courses for their junior year. Many students will begin their major as early as the first semester of their freshman year if they are certain about their educational and vocational goals. 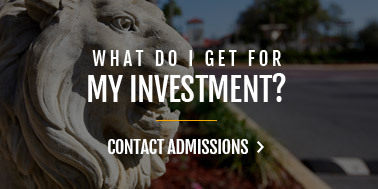 In fact, if they expect to enter a graduate or professional school upon graduation from Saint Leo University, students should decide on a major early. If they plan to teach, they should not delay their decision beyond the first semester of their sophomore year in order to complete the required professional courses in education in a four-year period. Intensive study in a major usually begins in the first semester of the junior year. To declare or change to another major, students should consult with their academic advisor or department chair of the desired major. Only one degree may be pursued at a time. For the bachelor's degree, students may seek concurrently up to two majors or a major and a minor. 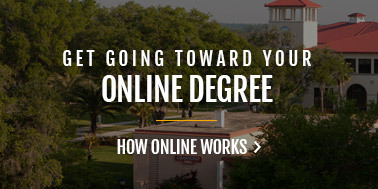 After conferral of a Saint Leo University bachelor's degree, a student may take courses at Saint Leo University to earn a different bachelor's degree, second major, second specialization, or a minor. For example, if a student earns a bachelor of arts degree, he or she may return and earn a bachelor of science degree. A student may apply to obtain a second degree in a major different from that of the first degree. If a student has already earned a baccalaureate or graduate degree and wishes to obtain a second degree, he or she must meet the admission criteria for that second degree and go through the admission process. Saint Leo Univeristy will not award an associate's degree if the student has already completed the requirements for a bachelor's degree. In order to earn a second undergraduate degree, a minimum of 30 additional credit hours in residence that do no apply to the other degrees earned are required. Students cannot earn a degree with Saint Leo University in the same subject area in which they earned a degree at another institution. If the student returns and pursues a new major under his or her existing degree program, he or she does not earn another bachelor's degree and is not degree-seeking. Financial Aid is only available to students that are active in a degree-seeking programs. Additional transfer credit will not be accepted after the initial conferral of the bachelor's degree; all unfulfilled requirements must be completed with Saint Leo University. Students wishing to pursue an additional degree must reapply. Students who plan to teach at the middle or secondary level must complete the professional courses in education along with all courses required in their major. Minors are a series of linked courses and learning opportunities that allow students to explore an area of intellectual interest. Programs of study leading to a minor are offered in some areas. No more than half of a minor's requirements can be satisfied by transfer or standardized testing credit. Students wishing to minor in a field may use no more than two courses they have taken in their major to apply toward the requirements for their minor. A minor is not required for graduation and can only be included in the bachelor degree. To ensure a complete education, some majors provide students with the opportunity to study specific areas in depth. The University offers specializations in a variety of areas. These specializations integrate the University Explorations (general education) core of the University with a core of courses in a discipline and the specialized courses that prepare the student in a particular area of interest. Students at University College must complete enough elective hours to fulfill the minimum 120 academic credits required for graduation. In consultation with their academic advisors, students may choose electives from the courses listed in "Courses of Instruction ," provided that the prerequisites for the courses have been met. The University community understands that its twenty-first-century graduates will enter an ever-changing world where online learning will be essential to achieving its goal of educating lifelong learners. As a result, all students, regardless of location and/or degree program are expected to take at least one (1) online course before graduation. The University offers an online library tutorial, online courses, video teleconferencing courses, hybrid courses that blend traditional in-class experiences with technology-enhanced elements, and full online degree programs. Online degree programs of study are designed to meet the needs of working adults. Please see the Online Learning Center section for a description of undergraduate online programs of study. Students come under the academic requirements of the catalog in effect at the time of matriculation. These requirements must be completed within seven years from the date of being admitted as a degree-seeking student. Requests to extend this seven-year time period must be submitted to the School Dean or Center Director for consideration on a case-by-case basis. Coursework at the graduate level is held to a higher caliber than undergraduate work. Graduate work requires more research skills, more in-depth and applied knowledge, and mastery of a field or discipline. Therefore, Saint Leo University will not apply undergraduate coursework towards graduate coursework. In addition, to be admitted into a graduate degree program, a student must have earned a four-year bachelor's degree; therefore, no graduate-level work may be applied toward an undergraduate degree. In addition to time spent in class, Saint Leo University courses are designed to require at least 30 hours of work to be completed outside of class time per credit hour earned. This work includes reading, homework, and completing papers and other assignments. For a three credit hour course, students should expect to commit 90 hours of time outside of class in order to be prepared and meet course expectations. The conferral or completion date is based on the completion of all required items listed below. Saint Leo University will not release a diploma, certificate, transcript or confirm completion of a degree/certificate until all financial obligations are paid in full. All associate degrees require at least 60 semester credit hours; all baccalaureate degrees require at least 120 semester credit hours. The following are the requirements that students must complete to earn a degree in their discipline. Complete all academic credits required. Complete the required Associate of Arts in Business Administration general education program. See Business Administration, A.A. Complete all the requirements of the Business Administration major for the associate degree. See Business Administration, A.A. Attain a minimum cumulative grade point average of 2.00. Attain a minimum cumulative grade point average of 2.00 in major courses. Complete such comprehensive examinations as may be required by the University. Demonstrate competence in reading, writing, oral communications, and fundamental mathematical skills. All transfer credits must be received and posted. 1. Complete all academic credits required. 3. Complete the required Associate of Arts in Cybersecurity general education program. See Cybersecurity, A.A. .
4. Complete all the requirements of the Cybersecurity major for the associate degree. See Cybersecurity, A.A. .
5. Attain a minimum cumulative grade point average of 2.00. 6. Attain a minimum cumulative grade point average of 2.00 in major courses. 7. Complete such comprehensive examinations as may be required by the University. 8. Demonstrate competence in reading, writing, oral communications, and fundamental mathematical skills. 10. All transfer credits must be received and posted. Complete the required Associate of Arts in Information Technology general education program. See Information Technology, A.A. Complete all the requirements of the Information Technology major for the associate degree. See Information Technology, A.A. Provide learners with the basic, foundational, intellectual tools needed to complete a bachelor's degree sometime in the future. Complete a minimum of 60 academic credits. Complete the required Associate of Arts general education program. See Liberal Arts, A.A. .
All transfer credit must be received and posted. Complete the required Associate of Arts general education program. See Criminal Justice, A.A. Complete a minimum of 120 academic credits. Complete the required University Explorations (general education) curriculum. Complete a minimum of 39 hours of coursework at the 300-400 level for the bachelor of arts, bachelor of science, and bachelor of social work degrees. Complete a minimum of 27 hours of coursework at the 300-400 level for the bachelor of applied science degree. Attain a minimum cumulative grade point average of 2.00, excepting certain majors that require a higher minimum GPA—for example, all education majors (2.5). Demonstrate competence in reading, writing, oral communications, and fundamental mathematical skills.. Complete all the requirements of the student's academic school and major. Attain a minimum cumulative grade point average of 2.00 in the major. Fulfill the academic residence requirement of a minimum of 30 semester hours to be taken at Saint Leo University. Complete all academic credits. There are different credit hours depending on the certificate. Fulfill the academic residence requirement of a minimum of three-quarters of the credit hours required to be taken at Saint Leo University. All faculty members in all courses must take official class attendance at least through the end of the official add/drop period each term. Attendance at all courses is strongly encouraged as attendance is an important part of learning. Note that failure to attend class does not constitute an official withdrawal from that class. Class attendance is a prerogative of each individual faculty member. Faculty members must include a course attendance policy in their syllabi. Students are expected to be present at regularly scheduled class meetings, particularly their scheduled classes immediately preceding and following the Thanksgiving, Christmas, and spring breaks. Student absences are cleared through the Office of Academic Advising. Due to federal regulations, medical or legal documentation is accepted by the Office of Academic Advising, and documentation should not be presented to or discussed by instructors. Once the documentation has been accepted, it is thoroughly verified, and notification is issued to faculty members. Unless otherwise directed, excusal of absences is granted solely at the discretion of the individual instructor. The Office of Academic Advising works closely with Student Affairs, the Health and Counseling Centers, and the Center for Sport Medicine regarding student absences. If a student is required to be absent for an extended period of time, either voluntarily or involuntarily, the Office of Academic Advising notifies instructors. In addition, students must adhere to the establish clearance procedures as outlined by Student Affairs in order to return to classes. Minor children of faculty or students are not permitted in the classroom during regularly scheduled class meetings. Unless communication from the Office of Academic Advising states otherwise, students are required to communicate with their instructors regarding any missed coursework or exams. Students are always responsible for missed coursework. Failure to attend class does not constitute a course withdrawal. All faculty members are required to keep attendance records during the official add/drop period. Student absences may have a deleterious effect on the student's grades or continuing eligibility for financial assistance. Students whose attendance becomes unsatisfactory to the extent of adversely affecting their course performance may incur academic penalties as applied by the faculty member. Attendance is taken during the add/drop period in every course offered in every location at Saint Leo University. Attendance is taken for the purpose of establishing a student's enrollment in a specific course so that Title IV funds may be disbursed to the student. No Title IV funds are given to a student who has not attended class during the add/drop period. Students who do not attend at least one meeting of the course during the add/drop period will have their registration for that course canceled and the record of their registration in that course deleted. A deleted record due to a student's failure to attend the class during the add/drop period may have an adverse effect on the student's financial aid. In the case of absences caused by University-sponsored activities, students are allowed to make up such portions of work missed, including examinations, as the faculty member deems necessary. Students are expected to make necessary arrangements before the planned absence from class and are responsible for all material covered during their absence. Student-athletes are excused from classes when representing the University in an official athletic contest. Student-athletes cannot be penalized and will be allowed to make up any and all work missed due to representing the University; however, student-athletes are expected to make necessary arrangements beforehand and are responsible for all material covered during their absence. For a home contest, student-athletes will be excused no more than 2 hours prior to the start of the contest. Student-athletes may not miss class for practices, scrimmages, or non-championship segment contests with the exception of gold, tennis, and cross country. It will be the responsibility of the head coach or his or her designee of each sport to notify the student-athlete's professors, via e-mail, one week in advance of the missed class. The e-mail will be titled "Student-Athlete Absence" and include the following: date, departure time, return date, and travel roster. If there is any adjustment to a travel roster, the coach will notify the professors before departing. The coach will copy the student-athlete on the e-mails. It will still be the responsibility of the student-athlete to meet with the professor prior to the absence and turn in all required work and reschedule any missed assignments. Freshman—a student with fewer than 30 earned credits. Sophomore—a student with at least 30 and fewer than 60 earned credits. Junior—a student with at least 60 and fewer than 90 earned credits. Senior—a student with at least 90 earned credits. *The FA grade is issued to students who did not complete the course, did not officially withdraw, and failed to participate in course activities through the end of the enrollment period. The FA grade earns no credit and counts in the same manner as an F in tabulating the student grade point average. **Given due to extended temporary duty assignment of active-duty students at Education Centers located on military bases only. A copy of official TDY orders must accompany the request for WE. In order to provide consistent grading standards, all undergraduate sections will follow a standard grading scale. A grading scale is used to translate letter grades into point values, and vice versa, when calculating final grades. This standard grading scale helps in maintaining the highest standard while at the same time preserving the autonomy of the professor in evaluating and assigning grades. The standard scale does not take away the faculty ability to assign grades as they determine. How the instructor arrives at the grade or average and weights assignments is up to the individual professor. When a student is doing satisfactory work and has completed a majority of the work but has been unable to complete the required work and the reasons given are acceptable to the faculty member, a grade of incomplete (I) is given. An incomplete (I) is agreed upon between the student and the faculty member. When a grade of incomplete (I) is assigned, there will be no penalty for lateness. Incomplete work is counted as a failure (F) if the work is not made up by the deadline the instructor has assigned, but in no event later than the end of the following semester or term. An incomplete grade (I), once completed, will reflect the same term date the course was originally taken; however, degree conferral date will be determined by the actual date that the incomplete coursework was completed. Students are encouraged to repeat all failed courses in order to raise their cumulative grade point average. Students are permitted to repeat any other course that they wish in order to earn a higher grade than originally earned. Veterans receiving VA educational training benefits can repeat a grade of F only in a course that is required to fulfill degree requirements. Prior VA approval is not required. No other grades may be repeated without prior VA approval. Previously passed courses repeated more than one time do not count toward enrollment when determing financial aid eligibility. Duplication of Credit at the Time of Initial Evaluation. If a student completed a course at another institution that is directly equivalent to a Saint Leo University course he or she has already completed with a passing grade, the student receives no transfer credit. The course will not be listed on the transcript. Duplication of Credit After Initial Evaluation. If a student receives credit for a course taken at another institution and subsequently completes the equivalent course at Saint Leo University with a passing grade, the earned hours granted for the transferred course will be removed, resulting in a decrease in the cumulative hours. The grade listed for the transferred course will not be removed from the transcript. Repeat of a Failed Course. If a student fails a course at Saint Leo University and subsequently repeats the same course with a passing grade, the attempted hours are removed from the first attempt, but the F grade remains on the transcript. The attempted hours and quality points for the second attempt are applied toward the student's cumulative totals, with a resulting increase in the student's grade point average. Repeat of a Course in Which a D or Higher Was Earned. If a student completes a course at Saint Leo University with a D or higher grade and subsequently repeats the same course with a higher grade, the attempted hours, earned hours, and quality points are removed from the first attempt, but the original grade earned remains listed on the transcript. The attempted hours and quality points for the second attempt are applied toward the student's cumulative totals, with a resulting increase in the grade point average. Failure of a Course That Is Subsequently Deleted from the Catalog. If a student fails a course at Saint Leo University that is deleted from the University Catalog before the student repeats it with a passing grade, the student's academic advisor may submit a request to the Registrar requesting approval for a substitute course to be treated as the course failed for the purposes of the repeat. Repeat of a Course Failed at Saint Leo University and Retaken at Another Institution. If a student fails a course at Saint Leo University and subsequently repeats the equivalent course at another institution with a passing grade, the attempted hours are removed from the Saint Leo course, but the F remains listed on the transcript. The appropriate number of earned hours is granted for the transferred course. However, no quality points are awarded for the transferred course. The removal of the attempted hours on the original failed course increases the student's overall grade point average. 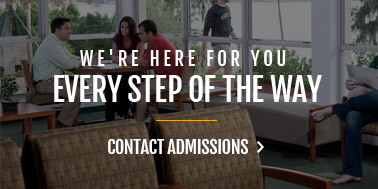 Generally, it is recommended that failed courses be repeated at Saint Leo University. However, the student's academic advisor may approve the completion of the course at another institution. In order to continue in good standing, a student must maintain a minimum grade point average of 2.0. The system of academic sanctions is designed to identify and help, as well as warn, those students who are in danger of not qualifying for degrees at the end of their senior year. The University reserves the right to require remedial action on behalf of students who are placed on academic warning or probation or are sanctioned due to a violation of the Academic Honor Code. Such action may include, but is not limited to, requiring students to repeat failed courses and receive a grade of C or higher, take a reduced course load, attend monitored study assistance programs, accept tutoring, change their program of study, or lose their eligibility to participate in intercollegiate athletics. The Academic Standards Committee sets these regulations and conditions. Academic sanctions contained herein conform with NCAA eligibility standards. Members of varsity sports programs and students receiving financial aid must inform themselves of additional eligibility requirements of these programs. The sanction for a first violation of the Academic Honor Code could range from zero on the assignment to dismissal from the university, depending on the nature of the violation, but the usual sanction is failure of the course. The minimum sanction for a subsequent offense is an F in the course, but the usual sanction is suspension or dismissal of the student from Saint Leo University. No provision will be made for the student to receive a W.
Students who are placed on academic warning are encouraged to meet with their academic advisor to develop a plan to avoid further academic sanctions. Students who are on academic probation cannot hold or run for an office; cannot participate in selected activities; cannot pledge a Greek organization; cannot be a candidate for any kind of honor, including participation in the graduation ceremony; must repeat failed courses in the next term or semester offered, receiving a grade of C or higher; and possibly take a reduced course load, attend monitored study assistance programs, accept tutoring, or change their program of study. Students who are on academic probation are also ineligible to participate in intercollegiate athletics. Students on academic probation must register for classes with their advisor. Students whose cumulative grade point averages are deficient for their academic levels are subject to academic suspension. The criteria for determining academic suspension are (1) semester hours attempted at Saint Leo University and (2) student classification, based on total earned hours, including hours in residence and hours in transfer. Students have the right to appeal academic suspensions. If students wish to appeal for immediate reinstatement, they must do so within two weeks of the official notification by the University. A successful appeal lifts suspension, but students are placed on academic probation. For University College students, appeals from academic suspensions must be made in writing to the Registrar within 10 days of receipt of the suspension notice. Education Center students should appeal to their Center Director. Online Learning Center students should appeal to the Associate Vice President of Enrollment and Support Services or their designee. The petition must include students' personal assessments regarding the factors that led to their suspension and what they would do positively to alter their academic status. The Center Director, with their recommendations, will submit the appeal to the Division for Academic Affairs. The Division for Academic Affairs will render a final, non-appealable decision. Students suspended from Saint Leo University may apply for readmission after one year. The petition for reinstatement must be submitted to the Registrar at least one month before the intended date of reentry to the University for University College students. Education Center students petition through their Center Director. Online Learning students petition through the Associate Vice President of Undergraduate Admissions and Academic Advising. The petition must include students' personal assessments regarding the factors that led to their suspension and what they would do positively to alter their academic status. Fulfilling these conditions does not guarantee reinstatement, and a student who is reinstated remains on academic probation. The Division for Academic Affairs determines whether to deny or grant a request for reinstatement and determines the conditions of reinstatement. Conditions for reinstatement of housing may be specified by the Associate Vice President of Enrollment and Support Services or their designee. 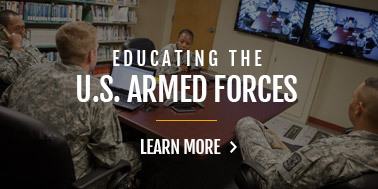 The law requires that educational assistance benefits to veterans and other eligible persons be discontinued when the student ceases to make satisfactory progress toward completion of his or her training objective. Accredited schools are required by law to have and enforce standards of progress for their programs to be approved for VA benefits. These standards are stated under the Academic Sanctions Policy. Undergraduate students whose academic standing is so poor that, in the judgment of the Division for Academic Affairs, improvement of the grade point average to 2.00 is unlikely, will be academically dismissed. Dismissal is permanent termination of student status from Saint Leo University. Students who have been dismissed may not be readmitted to the institution under any circumstances. For University College, the academic terms follow the traditional 15-week semester term for fall and spring. For Education Center students, the academic term is six 8- week terms, with the exception of the Education program offered at our Gainesville, Lake City, Madison, Northeast Florida, Ocala, and Weekend/Evening locations, which follow the traditional two 15-week semester term for fall and spring. For the Online Learning Center, there are six 8-week terms per year. All degree-seeking transfer students are provided with a formal evaluation recognizing transfer of credit and specifying associate's degree requirements. When a student declares an associate or baccalaureate degree major, the University prepares a degree audit specifying the degree requirements. Every student is assigned to an academic advisor who is responsible for working with the student to plan a program of study. Advisors work closely with students, but students remain responsible for meeting all of the graduation requirements. During each academic term, continuing students are expected to meet with their advisors to select courses and register for the next semester or term. In some cases, time is set aside to enable students to plan schedules effectively and to provide students with intensive personalized advising. All new students, except those matriculating through Education Centers or the Online Learning Center, register during orientation periods. The University provides Internet online registration services through the eLion system. Students will receive a login and password to the eLion system and are also provided an e-mail account that will be the formal mode of communication between the University and the student. 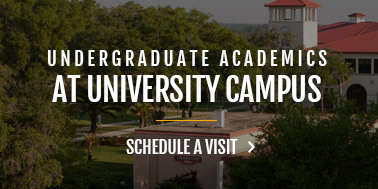 The University offers degree programs on its University Campus, externally through Education Centers, and online through the Online Learning Center. Students enrolled in any one of these degree programs may formally request permission to enroll in courses in either of the other degree programs. The request should be directed to an academic advisor in the degree program in which the student is enrolled. Enrollment across programs may affect tuition. The University reserves the right to cancel a course for which there are insufficient enrollments. Students will be notified via e-mail or telephone, and any tuition and fees paid for a course that has been canceled will be refunded if the student does not register in a replacement course. At education centers with 15 week semesters, a full-time course load is four courses (12 credit hours) per semester. At education centers with 8 week terms, a full-time course load is two courses (6 credit hours) per term. Full-time students with a cumulative grade point average of at least 2.50 may seek to earn credit for a course through examination. Permission to take an examination is granted by the Dean in the school in which the course is taught. The student will be charged the usual tuition rate for the course in addition to a $80 administration fee, which must be paid in advance and is nonrefundable. To receive credit, the student must achieve a grade of C or above on the course challenge exam. If the student does not achieve a grade of C or above, no entry will be made on the permanent transcript record and no tuition will be charged. Saint Leo University actively promotes writing across the curriculum. Consequently, its students fulfill the requirements of the state of Florida's Gordon Rule. The following courses fulfill the Gordon Rule: ENG 121 , ENG 122 , ENG 210CL , ENG 215CL , ENG 220CL , AND ENG 225CL . We believe that traditional students learn best in regular classroom settings where a group of students and a faculty member engage in interactive dialogue. The classroom serves as a small learning community that encourages students to expand their own perspectives. This is particularly true in some courses, such as the senior seminar or capstone course. In some cases, however, it is appropriate to deliver a course as a directed study. In these cases, the student will meet with the faculty member on an individual basis, usually once a week, to complete the course requirements. The student is in his or her last term of three or fewer courses, and a required course is not being offered in that term at an accessible Saint Leo University location. The student is enrolled in his or her last term of three or fewer courses, and a scheduled required course is canceled because of inadequate enrollments. The student has a physical disability that prevents him or her from attending a required course held in an inaccessible classroom, and the class cannot be moved to an accessible classroom. The faculty member develops a course that parallels an already existing course in the catalog. The faculty member shall assess student learning using the same standards for grading and assessment as are used in a classroom course. The course is recorded by title followed by the initials DS. Students using VA benefits or some other types of financial aid may not receive full benefits or aid for courses with a DS designation. In keeping with the University's commitment to program improvement, and in accordance with the criteria regarding institutional effectiveness established by the University's accrediting agency, the Southern Association of Colleges and Schools, the University has established several measures to assess its effectiveness in meeting its stated educational goals. The Dean's List is issued at the end of January, May, and August. Those students who have earned at least 12 new credits with a term grade point average of 3.65 or higher are recognized by placement on the Dean's List. Passing grades are excluded from the calculation. These awards are based on what standards are in effect at the point of graduation and not based on catalog year of matriculation. Students must have a minimum of 30 hours of academic credit at Saint Leo University to be eligible to be graduated with academic honors. Grades transferred from another institution are not included in cumulative grade point averages. Although honors designations in the commencement program are based on the cumulative grade point average earned at the end of the prior term/semester as notified in commencement instructions, final honors calculations are based on all graded Saint Leo University courses taken to fulfill bachelor's degree requirements. Honors are not awarded for the associate of arts degree or for graduate degrees.